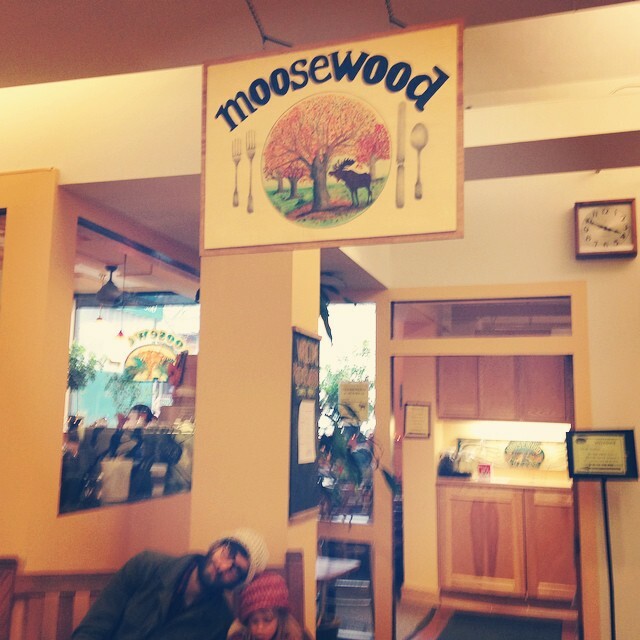 neverhomemaker: Thanksgiving + Moosewood, etc. If you don’t follow on Facebook, I shared last night that we finally figured out our Thanksgiving menu in full! I’m incredibly excited to start cooking. I had to run out for a few things at the store last night (bananas, milk, etc.) and cannot believe the crowds. Did you guys do your holiday meal shopping yet? Hopefully our vegetarian fare won’t be gobbled up before we stock it. And now that we’re in the gift-giving season, I thought I’d highlight some of my favorite cookbooks you might want to add to your lists. Or give to your foodie friends. Though I read lots of blogs and write my own recipes, there’s still nothing quite like paging through a cookbook for a hearty meal, especially in winter. Any of the Moosebook Cookbooks are good in my opinion. I have a few favorites, including Moosewood Restaurant Cooks At Home, Cooking for Health, and Simple Suppers. I like that there’s a broad range of vegetarian, vegan, and even pescetarian recipes to mix stuff up. You can’t go wrong with anything Isa Chandra Moskowitz produces. I’m partial to the Vegan Brunch book because it’s my favorite meal of the day. Over the years, I’ve also made a number of recipes from both the Vegan Cupcakes and Vegan Cookie books. Angela did a great job with The Oh She Glows cookbook. (Here’s my review, in case you missed it.) I find myself consistently paging through to find good recipes, but I think my favorite part is the homemade pantry section in the back. I linked to her walnut + lentil loaf above, but the one I’m using for Thanksgiving actually comes from the cookbook. The book (and blog) -- The Forest Feast -- is actually new to me, and I put it on my Christmas list this year. What I like is how simple the recipe are. Each requires only a few ingredients, which I think makes this book perfect for busy weeknights. And it may sound silly, but I also like all the watercolor illustrations. I don’t think a cookbook list is complete without something from Mark Bittman, right? His straightforwardly titled How To Cook Everything Vegetarian is surely a classic for new and old veggies alike. Plus, it’s quite comprehensive with over 2,000 recipes! What cookbooks are on your holiday lists this year?